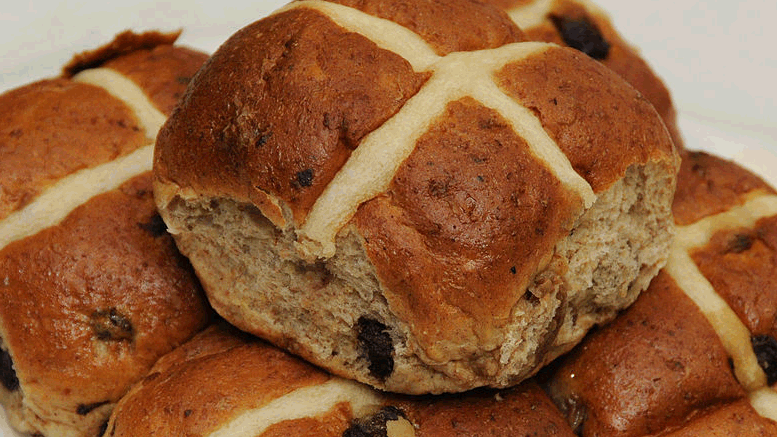 Hot Cross Buns are traditionally eaten on Good Friday in Ireland. The cross on the top symbolises the Cross Jesus was crucified on. Hot Cross Buns made on Good Friday, have magical powers, they will not go mouldy, but if you keep a Hot Cross Bun from one year to the next your house will be protected from fire. Sift 4 oz flour into a bowl and add 1 teaspoon of sugar. Blend the yeast with the milk and water. Add to flour and sugar. Mix well and leave for 30 minutes or until frothy. Sift remaining flour, salt and spices into another bowl. Add the rest of the sugar, currants and peel. Toss lightly together. Add to yeast mixture with butter and beaten egg. Mix to a soft dough that leaves the sides of the bowl clean. Turn on to floured board and knead for 5 minutes (or until the dough is smooth and no longer sticky). Cover and leave to rise until double the size. Turn onto floured board and knead lightly, divide into 12 pieces. Stand well apart on floured baking tray. Cover and leave for another 30 minutes. Cut a cross on top of each bun with a sharp knife and lay strips of pastry in each cut. 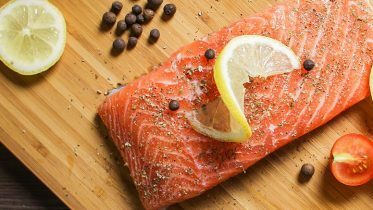 Bake in a hot oven (220 degrees C / 425 degrees F) for 20 – 25 minutes. Transfer to wire rack. Brush twice with glaze, made by dissolving sugar in milk and boiling for 2 minutes.